In every session, I help you develop tools to access more of who you are. I guide you into connection with the joy, freedom and power that await you in your voice, whether you want to sing, do public speaking, express yourself creatively or reconnect with the essence of who you are.To free your voice, I help you build awareness and flexibility in your whole body because it is the vessel for the voice. The physical habits that you develop to protect yourself – a shallow breath, a tense jaw, or locked knees, for example — can prevent your voice from having the vibrancy, power and beauty that you seek. Eve Maisonpierre, M.A. V.M.T.R. 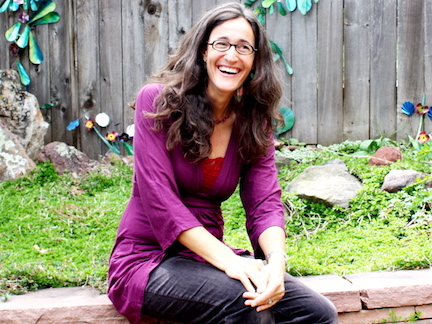 works as a Voice Teacher and Voice Therapist in Boulder, Colorado, helping people to overcome blocks to the voice, and restore the spontaneity and freedom of their natural singing and speaking voice. She combines her years of training and performance in Opera and Oratorio with her training in Voice Movement Therapy, Hakomi Body-Centered Psychotherapy and Somatic Voicework™. Eve received her Masters degree in Vocal Performance from the New England Conservatory of Music, her diploma in Voice Movement Therapy with Paul Newham, and certification in Levels I, II and III of Somatic Voicework™ The LoVetri Method with Jeannie Lovetri. Somatic Voicework™ gives me, as a voice teacher, the tools to help my students understand and experience the way the voice works on a physical level. Somatic Voicework™ is a healthy and scientifically based approach, for me as a classically trained singer, to confidently teach CCM styles to all levels of singers.